Our Prestige wedding invitation has been one of our top sellers over the last few years and we still regularly get orders for this design and it is perfect for any lace and pearl or vintage wedding theme. 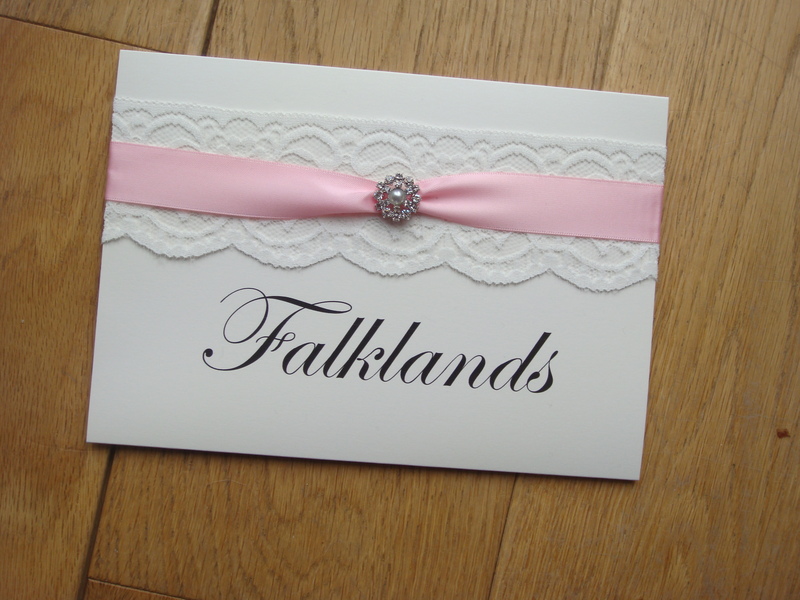 This stationery collection consists of lace, satin ribbon and a pearl and crystal embellishment and is a very popular style with couples having a vintage themed wedding as it can be used with any colour scheme by changing the ribbon colour and you can also change the embellishment should you choose. We mainly get asked to make this design in ivory or cream but sometimes other colours and it still looks great. Leah and Marc asked us to make their wedding invitations and booked a second date in our diary for us to make their on the day stationery. They chose to carry on with the Prestige collection and asked us to make a wedding table plan with ten tables plus the top table with matching table name cards. 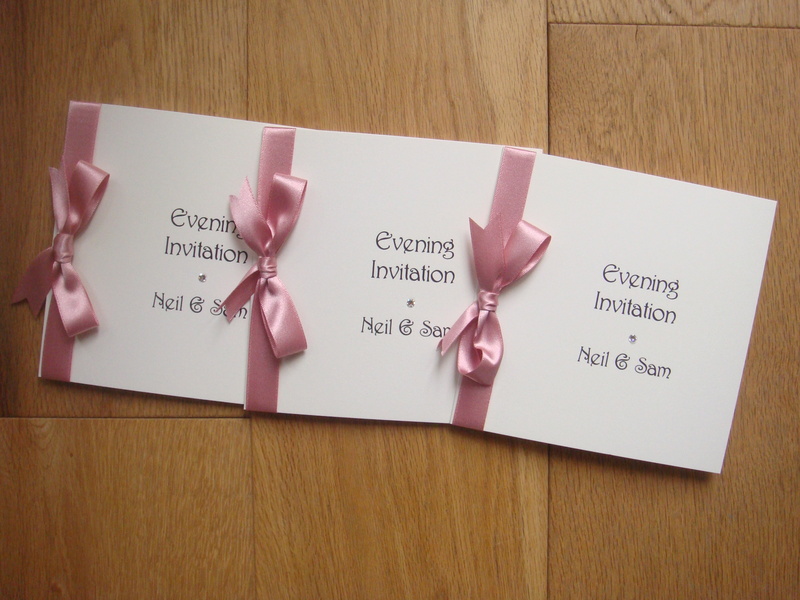 We can make any of our wedding invitation designs into a matching table plan or table name/number cards. Table Plans come in three different sizes depending on the number of tables you are having and are made on stretched canvas boards. We can use white, cream or ivory card. 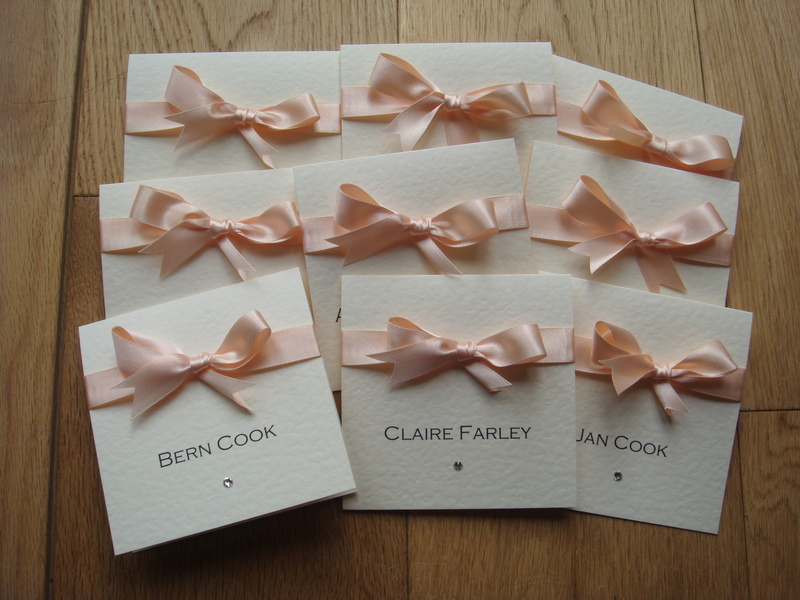 Our table name or number cards are usually made on A5 folded cards, but the size can be changed if requested. We are happy to print names or numbers on the cards. 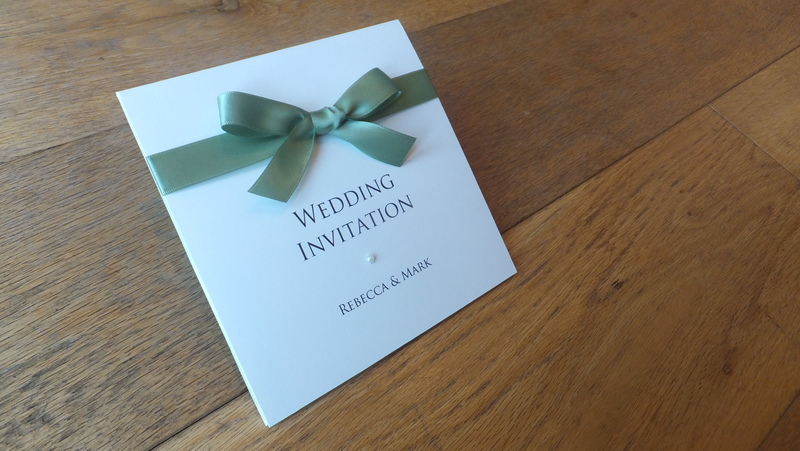 The Prestige design is available in a full range of wedding stationery including wedding and evening invites, Menu’s, Orders of Service and Guest books. To see the full range available along with a price list please visit our Prestige design page. 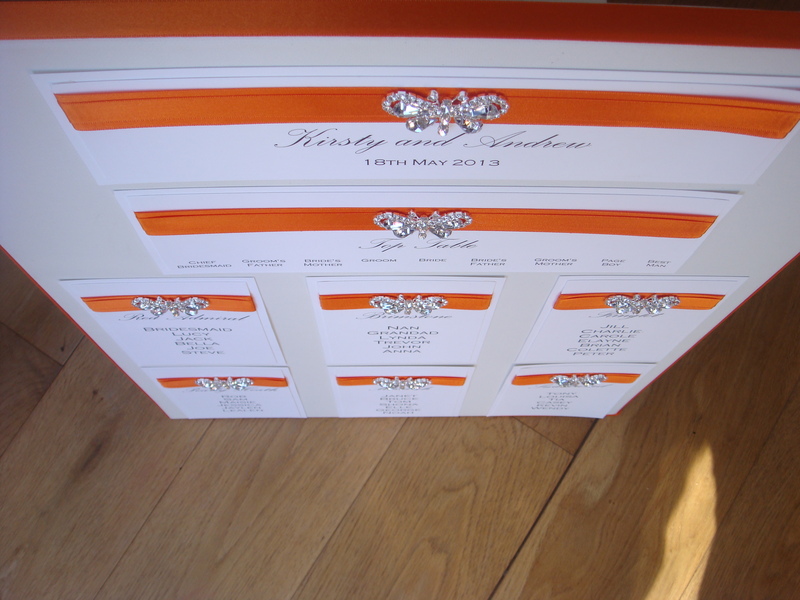 Butterfly Wedding Invitations – Crystal Butterfly Embellishment Wedding Stationery in Orange. Our Crystal Butterfly collection has been on our books for around 4 years and is extremely popular due to its simplicity. We also have two other designs that are very similar to this; our Filigree made with a large pearl and diamante embellishment and Winter Wonderland which has a super sparkly snowflake. It is made with a double layered satin ribbon and finished with a crystal diamante butterfly embellishment. 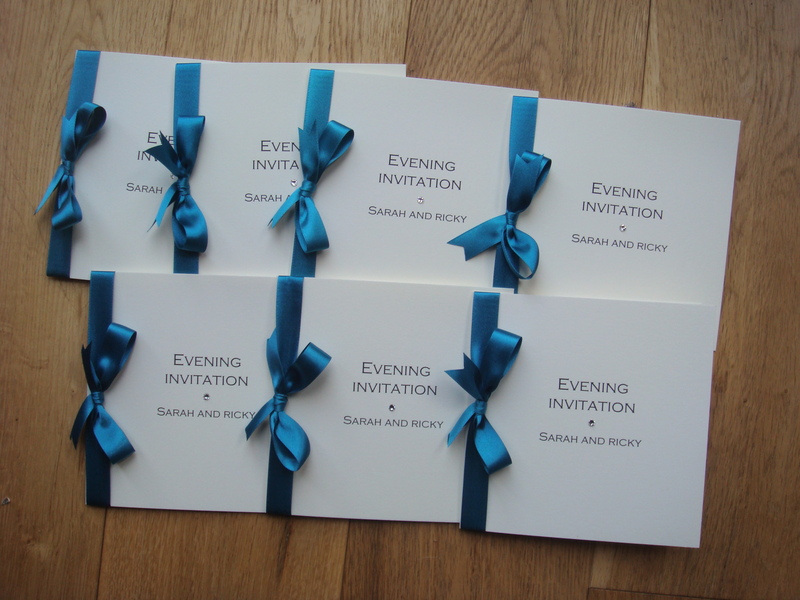 The insert on the inside of the invite is backed onto a matching coloured card to the ribbon. 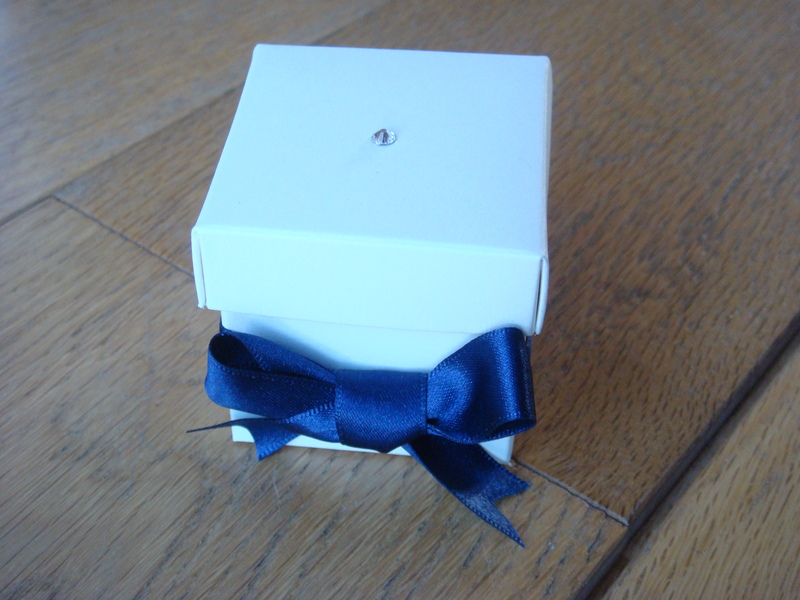 It can be made in any colour scheme and we have a large range of ribbons to choose from. Kirsty and Andrew had ordered their wedding invitations earlier in the year and had also booked us to make their on the day stationery. They chose to have the Crystal Butterfly design using a vibrant orange satin ribbon and finished with the diamante butterfly embellishment, perfect for their late spring wedding. 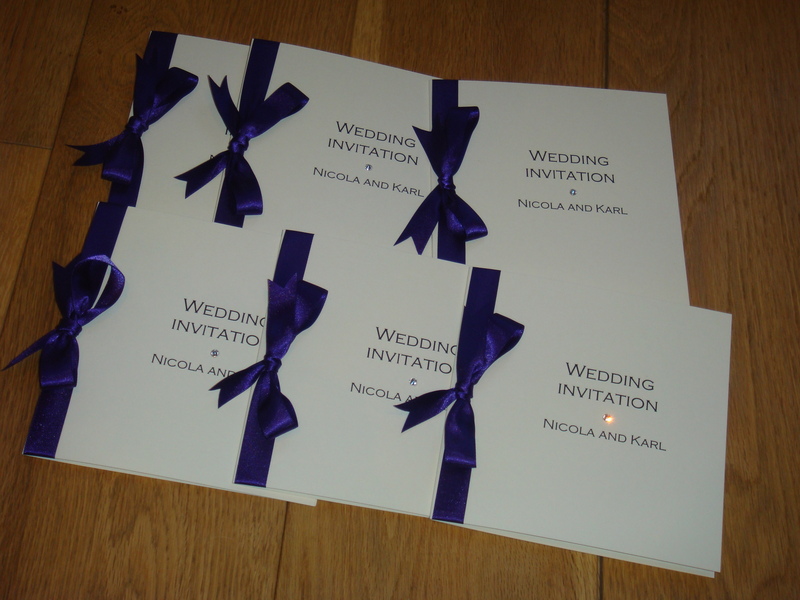 They ordered a matching table plan with six tables plus the top table, menu booklets and table name cards to match. Our table plans are available in three sizes and are made on boxed canvas which are 1.5cm thick.